But yeah i guess they are more useful as "cool factor"
mh.. i have read around that newer manufactured kt120 from TS have a lower dissipation and may need a resistor after the grid, can anyone confirm? Can you give me some alternatives instead of Edcor output transformers? If you advice product and model specific, I'll be very glad. Hi, There has apparently been a problem with some batches of Tungsol KT120s. It seems for a while they would not meet the spec for dissipation in class A operation. I have a quad here that miss by about 40%. Really beautiful red anodes. I have KT88s that handle power better. Newer ones apparently are OK. Get them from a reputable source and send bummers back as often as needed to get some that work. Late production 2017 seem OK and ones at least 4 years old are OK as well. Those meters would look cute, but not be functional. Anything that gets between the two cathodes or between either one of them and the CCS will upset the operation of the amps. It is possible to put some that have relatively low impedance in the anode circuit between the anode and transformer. As long as the resistance is small it ought to be OK. I would switch them out of circuit for music listening. The issue there is that they will be at the B+ voltage. Not something to fool with if not needed IMO. BTW (and stating the obvious for many diyers) the anode measurements would not be the same as the cathode ones as they would not include the screen currents. Hi, Yes you can build them on a single chassis. Be aware that it will be very heavy and be sure to use a very strong chassis. The amp will be in the 70 pound (45kg) range. I use an "L" bracket along the underside, mounted with the transformer screws. Provides strength and a convenient place to attach terminal strips, turret board, etc. How do you make square wave tests on OPTs? Is it suitable to make these tests without connecting OPTs to amplifier circuit just only sending square waves from primary and probing secondary outputs? Do I have to connect a load on primary or secondary? Hi, ??? what are you trying to accomplish? Transformers will pass square waves....to a varying degree. At low frequencies and really high ones they will usually be distorted. The better the quality of the transformer the better they will pass the waves. This usually will not tell you much about how they will perform in any particular circuit. Active devices and things like capacitors associated with them will create all sorts of filters and phase issues. I do use square waves to check fully built amplifiers. 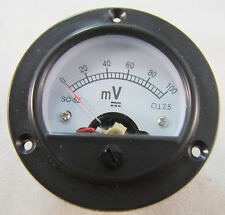 Low level so that the output is around 1 watt usually. With a sweep generator and scope (on the output with a proper load) you can get a feel for how good an amp will work. A fair guideline is that the frequency on the bottom end that shows a clean square wave is about 10 times the lowest frequency the amp will pass cleanly. If you see a clean (not nearly so, but honestly so) wave at 200 then it is probable the amp will have good response at 20HZ. On the top end it isn't so clear, but I find that it works out to about 4 or 5 to 1. If you have a nice clean wave at 5000 then it is likely the response is good past 20K. As you go up in frequency the actual types of imperfections you see can indicate some of the amplifier behavior. If you see serious over shoot on the leading edge it can indicate some forms of high frequency instability. A series of sine like ripples are indications of harmonic distortion products. A rounded leading edge indicates a high frequency roll off in response. On the bottom end the wave will usually tilt on top and bottom. The more tilt the more non-linear behavior. Tube amps usually will show some sort of issues on both top and bottom ends. The reactive components are the cause. A better test IMO is to use sine waves and a distortion analyzer. I test mine that way. Solid state amps BTW can (depending on the design) have nearly perfect square waves from almost DC to way out past 100K. Still it won't tell you much about how it sounds. I've got OPTs in my inventory. But didn't quite get all the parts necessary to build the amp. So, I'm trying to test the OPTs only. Is it normal to see overshoot/ringing on the secondary winding when OPTs are disconnected from amp circuit and on no load? In other words, have you ever made these tests only with OPTs without connecting them to amplifier circuit and any load? If you did, do you recall the results?